Noah's animals, two-by-two, gather to embark on an adventure! 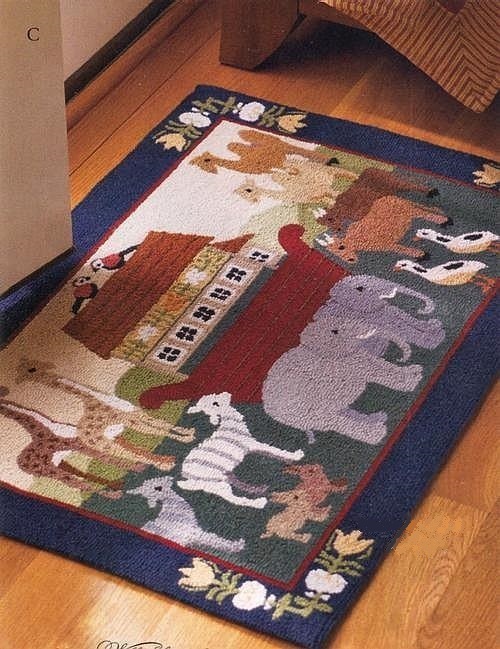 Great for a baby's nursery, or to greet guests at your door. 100% hooked wool design.